Roulette is undoubtedly one of the oldest and most popular casino games that most serious gamblers want to master. While the game may conjure images of Monte Carlo’s well-heeled wagering a small fortune on every spin of the roulette wheel, the table game has become most popular in America, especially the online version. 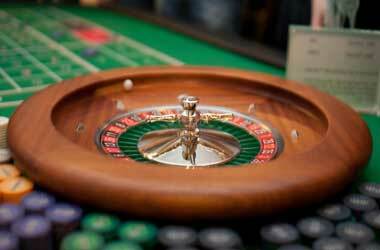 The roulette wheel has stood the test of time because it is not only fun to play but is very easy to play. If you are a novice, this could be the ideal game to start your gambling experience. At the center of the game is a wheel in which a small white ball spins and drops into one pocket on the wheel. It may not be one of the games to set you on the path to great wealth given the stiff house odds but if you pay heed to some of the time-tested betting strategies that we at CasinoUSA.com share, you could potentially manage to stretch your bankroll and make your time at the wheel worthwhile. 1.3.0.1 Is there a Working Winning System? 1.3.0.2 Why Does Roulette Contribute Less to Clearing my Casino Bonus? 1.3.0.3 What are my Winning Odds? 1.3.0.4 Can Roulette be played for Free? 1.3.0.5 Which are the Worst Bets in Roulette? 1.3.0.6 What Is the Main Difference Between French, European, and American Roulette? 1.3.0.7 Are Online Roulette Games Fair? 1.3.0.8 Which Roulette Versions Have the Best Odds? 1.3.0.9 Is Online Roulette Legal? 1.3.0.10 Is Online Roulette the Same as Traditional Roulette? Let’s look at some of online roulette’s basics, a few betting tips and useful strategies. Roulette, as we’ve all seen in the movies, involves piles of colored chips that are placed on a rectangular table. The online version has almost a similar feel. When the bets are all in, the dealer or croupier spins a large wheel that has slots marked by colors and numbers. The wheel is spun counter-clockwise following which the dealer drops a small white ball in a clockwise direction. You need to wait for the ball to drop into one of those numbered pockets, which could be the spots on which you placed the bet. So, for the most part, betting is about guessing where the ball will potentially land when the roulette wheel comes to a stop. While the croupier drops the ball in a land-based casino and the rest is left to a gambler’s luck or the random number generator (RNG) which determines the outcome in basic online roulette. European roulette: The spinning wheel in the European variant has numbers 1 through 36 marked on it and includes a zero (0), which means you can place bets on 37 numbers. American Roulette: Has two zeros (00) and a single zero (0), which means there are 38 numbers on which you can bet. French Roulette: Which is much like European roulette. However, there are two significant differences. The words on the table are in French while the game uses the ‘La Partage’ rule where if the ball lands on a zero you lose only half your even-odds stake. In online roulette the game is played in a similar fashion as a traditional casino. Players buy chips and have the liberty to place different types of bets. When the wheel is spun and the ball stops, the dealer or in the case of online roulette, the RNG software, will mark the grid that indicates the winning number. The dealer or software will collect losing bets and payout the winning bets. Straight bet: You bet on any number. The payout is the highest at 35:1. Split bet: You can bet on any two adjoining numbers both vertically or horizontally on the wheel. Street bet: This is a wager on any three numbers horizontally such 1, 2, 3 or 4, 5, 6. Corner bet: You can bet on four adjoining numbers in a block such as 11, 12, 14, 15. Apart from these, bets can also be placed on the ball landing on Red/black, odd/even numbers, in the 0 or green slot, number groups, and columns and rows. Bets placed on numbers are known as ‘Inside bets’ and those placed in the boxes outside the number grid are known as ‘Outside bets’. Our experts at CasinoUSA.com always recommend that you practice for free as much as possible at an online casino before wagering real money. We have an entire list of casinos where you can play online roulette for free. Make sure to play sensibly and allocate a portion of your bankroll to short sessions. Separate your winnings from your original bankroll. European Roulette offers better odds since it has a lower house edge of 2.70% as compared to the American variant that has a 5.26% house edge. French roulette also has a lower house edge of 1.35%. It would be wise to bet small and stick to outside bets when you play for practice. Manage your bankroll well and don’t chase your losses. A sensible betting strategy would be place two outside bets of equal amounts – one on even-money play and the other on column or dozen that pays 2:1. For example, you can place a bet on black and another on Column 3, which has eight red numbers. Alternatively, you can place a bet on red and one bet on Column 2, which has eight black numbers. Remember, Roulette is a game of chance and there is no magic formula to win consistently. Don’t let previous numbers wins influence you since every spin is independent and unrelated to any past spins. Most importantly, to make the most of your foray into online roulette, stick with CasinoUSA.com for the very latest. If you’re new to playing Roulette, or even if you’re a more experienced gambler looking for some info, here are the answers to the most popular questions about this massively played casino game. Is there a Working Winning System? While there are many winning systems sold online that claim to be effective, the truth is that there isn’t much you can do to increase your chances of winning. A Roulette game is a game of luck, i.e. it is a game of random outcomes. To determine the next number, casinos use a Random Number Generator which produces limitless combinations that make predicting numbers entirely impossible. Now, some claim to have a winning system that relies on how much you bet, the most popular example being the Martingale. Basically this system relies on doubling your bet each time you lose, so that when you eventually win you can cover all your losses. However, the system also implies that you should have enough resources to last you until the win, which may not come for a long time. The bottom line is that systems will never help you predict the numbers or alter your odds, but only alter your results. Thus, you should always think twice before investing in a system. Why Does Roulette Contribute Less to Clearing my Casino Bonus? When you grab a bonus at your online casino, you will find that the terms normally state Roulette games have a smaller contribution to meeting your wagering requirements than slots, or other games. This is mainly due to the lower house edge of Roulette, as opposed to slot games which give bigger advantage to the casino. There are also some casinos which entirely exclude Roulette from bonus contributions. What are my Winning Odds? The standard odds of winning a bet on a single number are 35 to 1, while splitting your bets will result in 17 to 1 odds. The lowest odds are given to black/red, high/low, and odd/even bets, which have 1 to 1 odds as the chances of winning those bets is 50:50. Can Roulette be played for Free? Almost every online casino offers game demos along with real-money versions. These might also be available to you even if you don’t have a casino account, depending on the casino. Demo versions can help you get a hang of the game before you invest real money in it. Which are the Worst Bets in Roulette? One of the most famous things about Roulette is that it offers the same 35 to 1 odds across any number bet. However, there are also some bets that lower your chances significantly, like the top line bet in American Roulette. The top line bet is any bet on the numbers between 0 and 3 (0 – 00 – 1 – 2– 3), which increases the house edge to 7.89%. What Is the Main Difference Between French, European, and American Roulette? While all versions are fairly similar to one another, the main difference will be in the house edge and the number of zeros on a wheel. European Roulette has a single 0 and an estimated house edge of 2.7%. The French version also has a single zero, but the zero pays back half your bet, which means it has half the house edge, or 1.35%. And finally, American Roulette has both 0 and 00 and the biggest house edge, or 5.26%. Are Online Roulette Games Fair? Yes, as long as you play in licensed casinos. All licensed casinos have their Random Number Generators audited by a regulatory body to ensure the casino doesn’t interfere with the outcomes in any way. There are also third-party auditing agencies like TST and eCOGRA that do independent audits. That’s why you should always check for a watermark of a license and audit certificates. Which Roulette Versions Have the Best Odds? In terms of odds, all roulette versions are the same, only some have a bigger advantage to the player. For example, a black/red bet will have the same returns in all Roulette varieties, with the only difference being that you’ll have less chances of winning in American Roulette than French Roulette. Yes it is, as long as the casino holds an official license. To find out whether you should play you only need to look for a UK Gambling Commission license. Is Online Roulette the Same as Traditional Roulette? Both online Roulette and traditional roulette is the same, with the only difference being in how you control and experience your playing. In both game sectors, the outcomes will be entirely random and the odds the same, only traditional casinos have human dealers, which some players feel more comfortable with.